This is a quiz that contains NCLEX questions for pericarditis. Pericarditis is inflammation of the pericardium. In the previous NCLEX review series, I explained about other cardiovascular disorders so be sure to check those reviews out. There are different types of pericarditis, such as acute and chronic pericarditis. As the nurse, it is important to know how to care for a patient with pericarditis. In addition, the nurse needs to be aware of the causes, risk factors, and management of pericarditis. The NCLEX exam loves to ask questions about patient education,major signs and symptoms, and the different types of pericarditis. 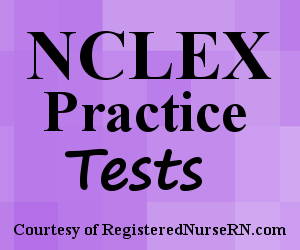 This quiz will test your knowledge about pericarditis for the NCLEX exam. A. Monitor the patient for complications of cardiac tamponade. B. Administer Ibuprofen as scheduled. C. Place the patient in supine position to relieve pain. D. Monitor the patient for pulsus paradoxus and muffled heart sounds. 1. True or False: The pericardium layer consists of a fibrous layer that is made up of two layers called the parietal and visceral layers. 2. A patient is hospitalized with chronic pericarditis. On assessment, you note the patient has pitting edema in lower extremities, crackles in lungs, and dyspnea on excretion. The patient’s echocardiogram shows thickening of the pericardium. This is known as what type of pericarditis? 3. Select-all-that-apply: Which of the following are NOT typical signs and symptoms of pericarditis? 4. You are providing care to a patient with pericarditis. Which of the following is NOT a proper nursing intervention for this patient? 5. You are providing discharge teaching to a patient being discharged home after hospitalization with pericarditis. The physician has ordered the patient to take Colchicine. Which of the following statements indicate the patient understood your education about how to take this medication? 6. A patient with severe pericarditis has developed a large pericardial effusion. The patient is symptomatic. The physician orders what type of procedure to help treat this condition? 7. You are providing care to a patient experiencing chest pain when coughing or breathing in. The patient has pericarditis. The physician has ordered the patient to take Ibuprofen for treatment. How will you administer this medication? 8. On physical assessment of a patient with pericarditis, you may hear what type of heart sound?